We're about as far as you can get from Hurricane Ike right now. But we're still gettin' hammered with rain that's already been around for 24 hours and supposed to last for another 2 days. I woke up twice last night to the huge roar of drops forced like a million grains of sand on the window. 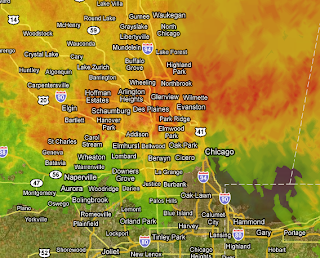 The radar is a snapshot at 0930 CST.